Looking for something to market your business to senior market? Great for retirement homes, senior care programs, boomers whose parents are considering senior care or services. 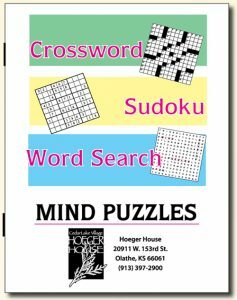 Mind puzzle book a combination puzzle book contains 50 puzzles. The book is 1/3 Word Search, 1/3 Sudoku, and 1/3 Cross Word. The solutions are in the back. Vocabulary building for young. Entertainment for elderly. Helps prevent Alzheimer’s. Use your brain to delay Dementia (According to The Today Show and Prevention Magazine). Crossword puzzles have long been a staple of our senior generation, and are again becoming increasingly popular with gen-x. Book is saddle stitched (stapled) bound. Book is 5.5 x 8.5″. 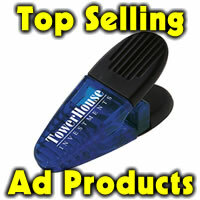 Up to 5 lines of imprint or logo in one color with a 50.00 set up. Min is 100 @ 2.47 ea, 250 at 2.22 ea, 500 at 1.97 ea, 1000 at 1.91 ea, 2500 at 1.54 ea, 5000 or more 1.30 ea. Item CB2.